Human physiology is the study of the functioning of the normal body, and is responsible for describing how various systems of the human body work. 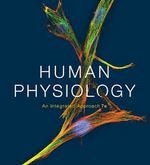 This textbook provides an introductory explanation of the workings of the human body, with an effort to draw connections between the body systems and explain their interdependencies. A framework for the book is homeostasis and how the body maintains balance within each system. This is intended as a first introduction to physiology for a college-level course.